Does Alien: Covenant justify its own existence? Of the three of us, I am probably the most dyed-in-the-wool Alien fan—I’ve watched all of the original four movies more times than I can count, played a ton of the video games, including the bad ones, and enjoyed Prometheus enough to watch it twice in the theater. I am predisposed to liking Alien: Covenant. So I’m curious what you two thought about the film, and if it added anything to your perception of the series. Is there any reason for this thing to exist, or are we on the nostalgia circuit now? Clayton, I, too, am predisposed to like the latest entry in Ridley Scott’s monster mash. Like you, I tend to look for the bright spots in each of the films and related properties—hell, I even think the execrable AVP: Requiem has a few redeeming qualities, most notably the movie’s decision to straight-up murder a kid in the opening minutes, an act of wholly gratuitous savagery that almost never happens in studio films. (And that’s before the aliens happen upon a maternity ward.) A filmmaker of Scott’s caliber returning to the universe he created is cause for celebration, to my mind, and despite its weaker moments, Prometheus has some fascinating elements, and is rarely less than visually impressive. Alien: Covenant teased a return to the fundamental horror of the first installment, something that made the project even more enticing. So it surprised me how underwhelmed I was by the whole affair—it felt less like an intriguing new wrinkle in the story, and more like an unnecessary extension of a story that has run its course. A big part of the problem, to my mind, is that the two main elements of the narrative don’t mesh well. 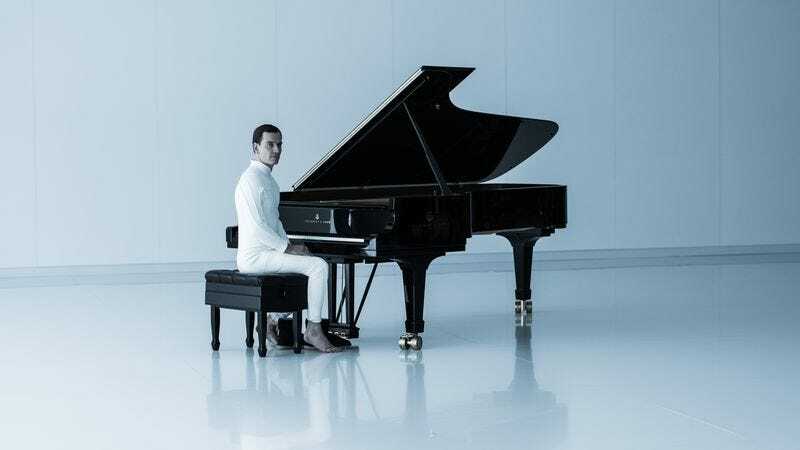 Rather than reinforcing one another, the mad-scientist middle act and the relentless killer-creature sequences felt shoehorned together, the former sapping the latter of tension while the latter intruded upon the thoughtful promise of the Fassbender material. Either one of these things could have been cordoned off from the other and turned into a solid genre exercise, but together it feels confused and overlong, many of the kills packing only as much punch as your average Friday The 13th movie, with about the same level of character development. (There’s even a shower death scene, for God’s sake, with characters I had honestly forgot were even there, so extraneous are they to the plot.) Which is why this film doesn’t feel necessary. Prometheus, for all its flaws, adds something to this universe in a rich and tantalizing way. Alien: Covenant feels more like an excuse to indulge in some throwback-style filmmaking without much of a justification for doing something with Xenomorphs and space. There can be more Alien films, sure, but this one didn’t really earn it. Katie, does this film convince you it has a good reason for existing? I also kind of forgot about the characters in the shower scene that we all keep bringing up, and I think the reason we keep bringing it up is because a shower scene not only indicates a turn toward horror, but a turn toward a certain kind of horror—the kind that’s focused on kills rather than psychological shocks or sustained suspense. And that’s a shame, because the first Alien is an extremely suspenseful movie, with scenes that are beautifully drawn-out for maximum impact when we do get a glimpse of the creature. If anything, this movie showed us too much of the creature—at least the Xenomorph we see walking around during the climactic action scene—to really scare us with it. I’m definitely the least steeped in Alien mythology of this bunch—I’ve seen the first two movies multiple times, but only saw Prometheus once, and never bothered with Alien 3 or Alien: Resurrection because of the seriously mixed reviews. So my understanding is incomplete, but when I was watching Covenant, much of it felt like a patchwork of other Alien movies I had seen: We start with the Aliens ensemble action-movie sequence, then have the slow Prometheus mythology section in the middle, then the nod to the original Alien with a Xenomorph chasing survivors through the winding, claustrophobic tunnels of a spaceship toward the end. Maybe because I’m somewhat familiar but not especially invested, it felt like pandering to me. That being said, I love horror movies, and monster movies in particular, and this movie had some awesome gory monster effects and cool creature designs in David’s drawings. I particularly liked the Neomorphs, the miniature white aliens developed especially for this film, which we see a lot of during my favorite part of the film—the first time all hell breaks loose. That sequence was exciting and gross (in a fun way), and felt the most like its own thing rather than a throwback to the tone of another movie. So as far as I’m concerned, yes to monsters, no to callbacks. I’m with you both on the stuff that worked—the translucent fetal aliens running loose in the opening section, some of the more maudlin aspects of the David/Walter middle section—even if I also liked the rest a little more than you. I’d be fine with the space slasher you mention, Alex, but I do think “fine” is how I’d describe Covenant, too. I think the fundamental shift between the original quadrilogy and what is looking like a prequel trilogy—and good lord, do I hate that series of words—is that the original four movies seemed engineered around directors’ individual visions. The first two were defining works of Ridley Scott’s and James Cameron’s careers, and Alien 3 and Alien: Resurrection, for all their many flaws, featured bold, visionary directors, spurred on to do something new with the distinct visual possibilities of the Xenomorph. In the intervening years, Ridley Scott has become a much more professional, conventional director, and so Prometheus and Alien: Covenant seem stuck between moments of awe-inspiring scale and painterly composition and fussy, over-written lore. In that terrific opening stretch of Covenant, for example, he lavishes detail on the massive space ship unfurling its solar panels with a grace lesser directors couldn’t muster. But the big Xenomorph conclusion felt as workmanlike as the worst stuff in the AVP movies (sorry, Alex). I’d rather see a director of Scott’s talent churning out sometimes-inspired horror like this than pap like The Martian, but I have an apparently bottomless appetite for sometimes-inspired horror. The movie has, at least internationally, proven to be a success, meaning that Scott’s proposed sequel seems likely. What would he need to do to course-correct for you two? Shed all lore for an alien-centered redux, pass the reigns to someone else, go full David, take another stab at the mix represented here, or do something else entirely? I don’t think “course correction” is the appropriate phrase, necessarily, for what should happen to wrap up this ostensible prequel trilogy. I admire directors trying out experiments—and despite its weaknesses, Covenant was an experiment worth attempting. Oddly enough, I think John Logan and Dante Harper’s script for Alien: Covenant might be the best since the original. It boldly tries to have it both ways, delivering thematically rich discussions in the Fassbender sections and clever, audacious choices in the first act. (Let’s quietly set aside that subsequent shower scene.) So the fact that it doesn’t entirely cohere as a film doesn’t mean I think Scott needs to close this story out with some back-to-basics simplicity. Better an ambitious but flawed series of films than a steadily more predictable return to conventional narratives and “big” showdowns. But since we’re talking about what worked visually and what didn’t, while I agree with Clayton’s assessment of Scott’s visual flair in the early going here—and can’t wrap my head around what you think is so bad about The Martian, a fun film on which Scott did a more-than-serviceable job—one of the problems was the CGI treatment of the various creatures (“-morphs”?). We see a lot of the aliens in this film, and while there’s nothing wrong with that, they just didn’t fully succeed in lending the digital beasts the weight and texture to sell me on them. I don’t mean to be the fuddy-duddy who complains about how practical effects look better (I had no qualms about the CGI in Prometheus, for example), but it might be the case that, when it comes to Xenomorphs and their hybridized cousins, less is more, and real supersedes rendered. Their hyper-speed assaults just didn’t pack the same wallop, and while I’d need to see it again to get a better sense of why that is, they came across as flimsier constructs than their rubbery forebears. I’m curious to know if I’m alone in this view. So no, I don’t want to see the end of the Alien universe; if anything, I want the next film to be an even bigger risk, upending what we expect from these movies—which, at this point, means it’s probably time to dispense with the android philosophizing. Katie, are you with me? Although I always support the use of practical effects, I wasn’t bothered by the CGI creatures—at least not the new hybridized Neomorphs, the speedy cousins of the lumbering, Romero-esque Xenomorphs. On the other hand, there was a full-body CGI shot of the latter toward the end of the film that bugged the hell out of me, I think by the same “less is more” logic that you cite, Alex. On that note, the main reason I was underwhelmed by Alien: Covenant was its structure, which tried to pack an unwieldy collection of different tones and types of storytelling into one overstuffed film. So whether it’s pure sci-fi or pure horror, I would like to see this new prequel trilogy (preqilogy? triquel?) conclude with a simple, straightforward genre exercise of some sort, preferably the alien-centered redux Clayton mentioned. As far as who should direct it, I could go either way: Ridley Scott is more than capable of making a back-to-basics genre movie, but seems to be weighed down by his own legacy and mellowing style in Covenant. On the other hand, a new director who grew up on the Alien movies would bring the passion that’s needed to revitalize such a long-running franchise, but then we run the risk of being overly reverent and not taking the risks Alex mentioned. This is extremely unlikely to happen, but I’d like to see them close it out 10 Cloverfield Lane-style: Shoot it in secret, unburdened by studio suits and decades of expectations. Then maybe we’d get the down-and-dirty Alien movie I, at least, want.